Dress available immediately. 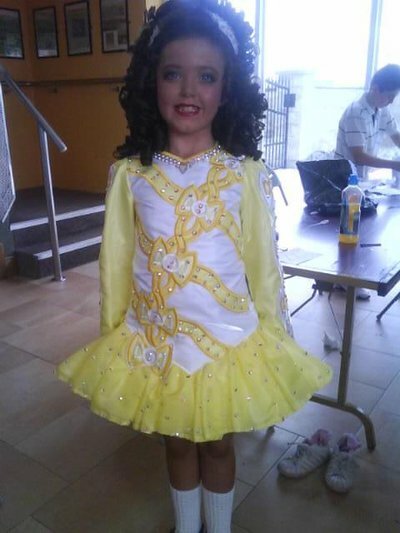 Description of Dress: Stunning lite-weight dress to dance in and complimented on at every feis. The dress is covered in hundreds of swarovski crystals. There is 1.5-2 inches let out/down. Only 9 months old and hasnt been worn for the past 4 months. Asking Price: £475. Shipping costs are not included in the asking price. Sale is final.